A blessed event becomes a nightmare for pregnant homicide detective Jane Rizzoli when she finds herself on the wrong side of a hostage crisis in this timely and relentless thriller from the New York Times bestselling author of Body Double. Only Jane, trapped with the armed madwoman, holds the key to the mystery. And only she can solve it if she survives the night. 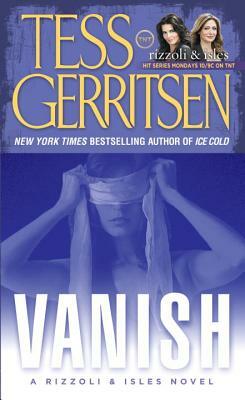 New York Timesbestselling authorTess Gerritsenearned international acclaim for her first novel of suspense, Harvest. She introduced detective Jane Rizzoli inThe Surgeon(2001) and Dr. Maura Isles inThe Apprentice(2002) and has gone on to write numerous other titles in the celebrated Rizzoli & Isles series, includingThe Mephisto Club, The Keepsake, Ice Cold, The Silent Girl, Last to Die, andDie Again.Her latest novel is the standalone thrillerPlaying with Fire.A physician, Tess Gerritsen lives in Maine." “NEVER FAILS TO DELIVER CHILLING SUSPENSE . . .